bridged under ideal conditions. The totally selectable transmitter/receiver frequency pairs, various power supply adaptations and direct listen-into possibility make this system easy to operate and versatile for any kind of surveillance task. 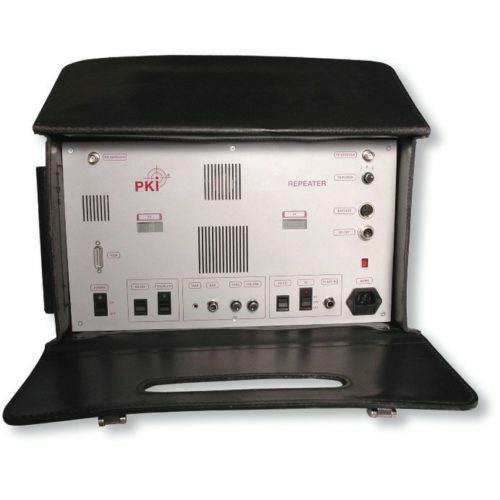 A hand-held 3-channel receiver for the outgoing frequencies of the PKI 2250 is included in the set as well as every necessary high gain directional antenna plus tripods (transmitting and receiving).